Make your rustic or wine-themed wedding “pop” with these place card holders. The card holders look like wine corks, but are made of resin. 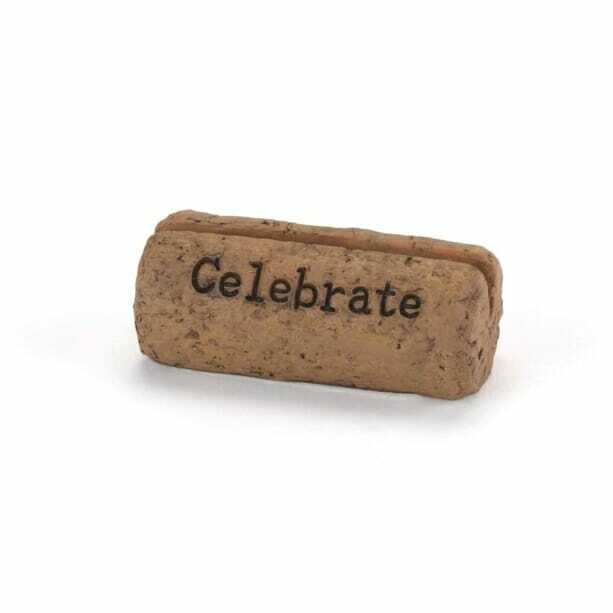 “Celebrate” is in black.